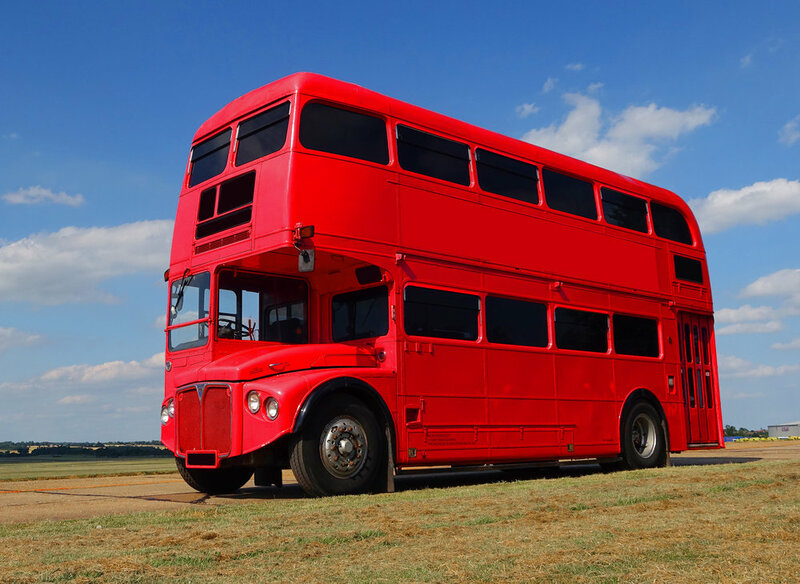 Our collection of buses are lovingly maintained to a high standard both mechanically and cosmetically. We don't use our buses for public services such as rail replacement, they are only used for exclusive private charters. 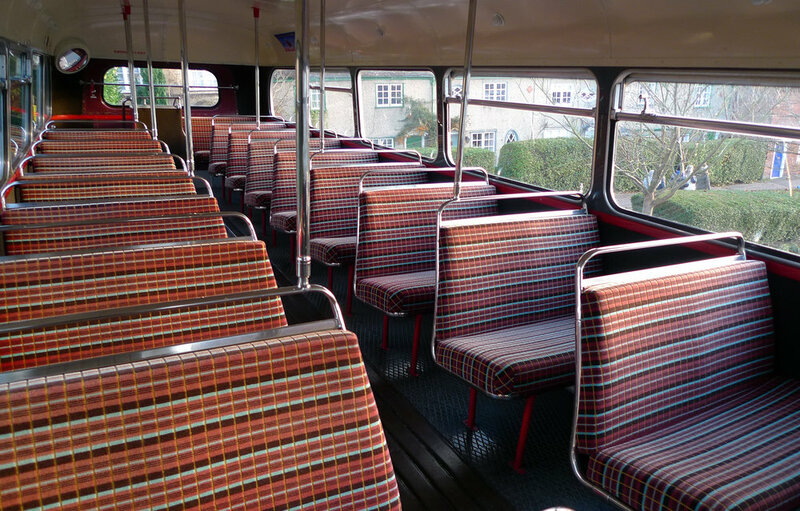 Our buses have been restored or maintained to their original 1960’s specification. 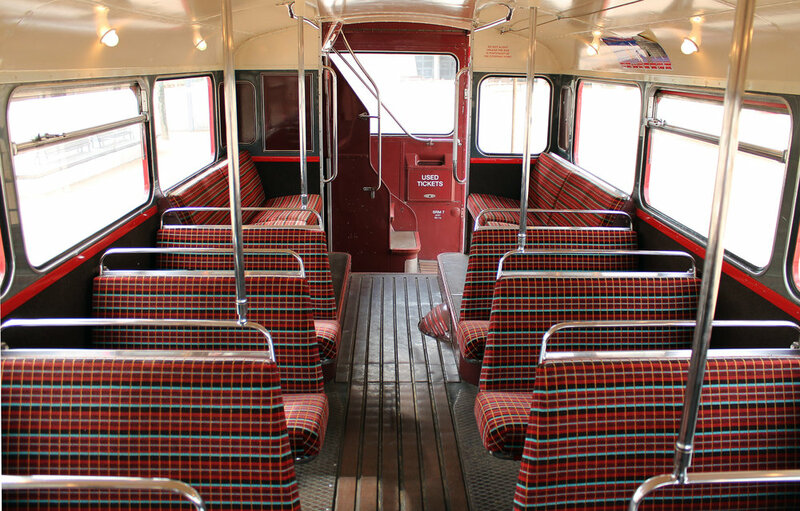 These features vary per bus but mainly include, tartan upholstery, tungsten bulb lighting in the saloon, authentic wall coverings and flooring which give a true reflection of the buses during the golden age of London Transport. These vehicles have a particular special feel of originality and occasion. An early example of a 1964 Routemaster. This bus has an AEC engine and original interior, featuring tungsten lights and tartan moquette. A later example of a longer 1967 Routemaster. She was in London service until 2005 before being de-comissioned to a private collection. 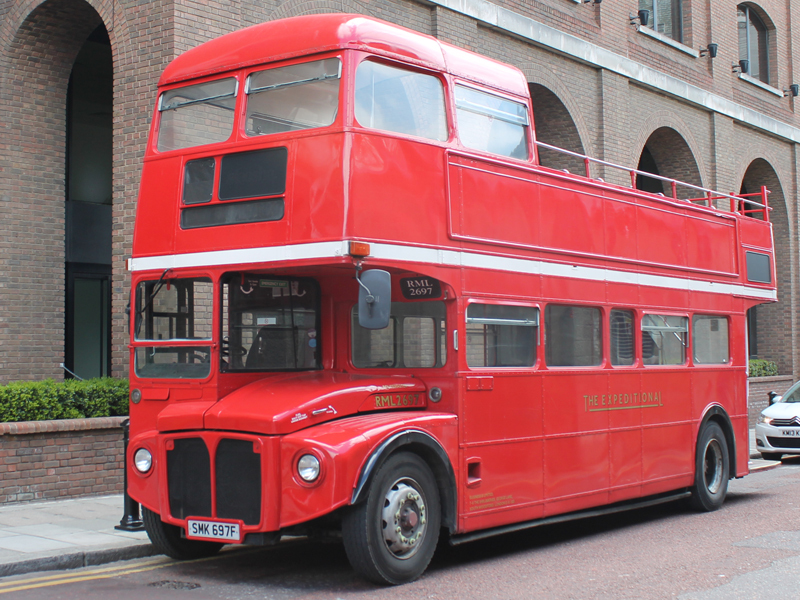 RML2697 was converted to an open top bus in 2012 and was immediately involved in providing international media coverage of the London Olympics. She is something of a celebrity having promoted Jamie Oliver Food Revolution, Filmed with Nicole Scherzinger and appeared on television numerous times. Uses: Transport, Sightseeing Tours, Race Days, Proms. Uses: Race Days, Proms & Promotional events. 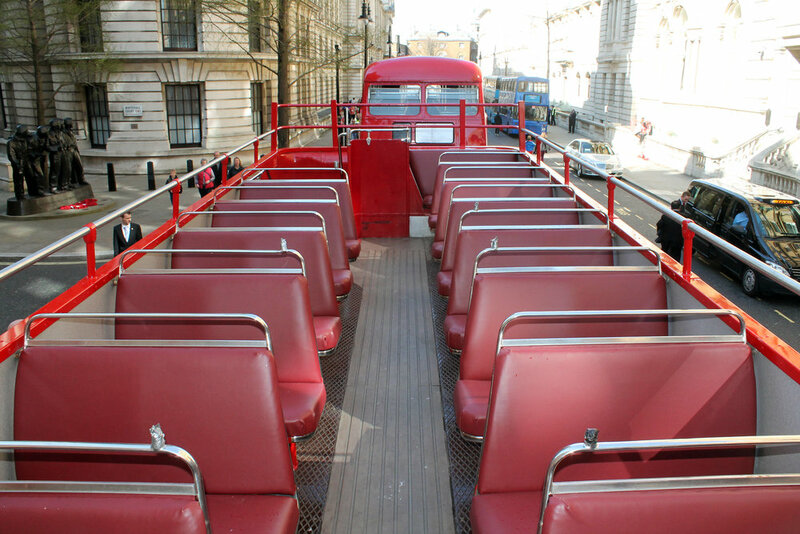 Routemaster Open Top, 72 seat. RML891 is our most recent addition to the promotion bus hire fleet and first appeared in Pride in London 2018. She is a fully open top bus. Uses: Sightseeing Tours, Promotional, Race Days, Proms.